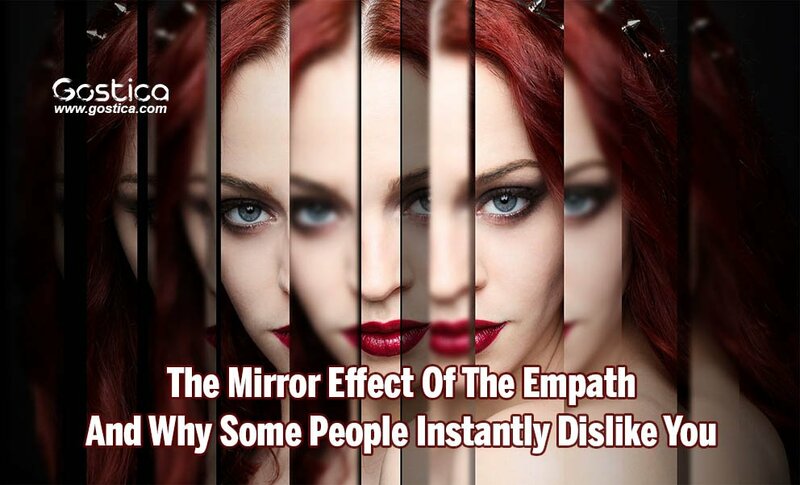 What is often baffling to the Empath is why some people act in an animistic way towards them, when they know they are a likable and trustworthy person. Because being around an Empath can bring up anything buried, it may cause a strong loathing to develop in others. However, what those who experience this ‘loathing’ don’t realize is the intense dislike they have, towards the Empath, is simply a reflection of their shadow-side. Anything hidden becomes seen within the ‘Mirror of the Empath’. Anything hidden, such as an insecurity, suppressed shame, guilt or anger, build the longer it is left buried. If someone has traits they don’t like about themselves, they are reminded of them when in an Empath’s presence. This is one reason why instant dislikes can form towards an Empath. Because at times, you may appear aloof some may consider this to be superior behavior. Wrongly assuming you believe you are in some way above them. When having taken on too many stimuli from their surroundings and are in serious need of recharging, the Empath wants nothing more than to be invisible to others.